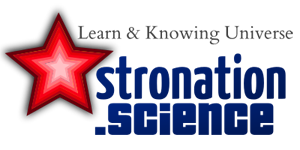 Astronomy Science ~ How big is Comet 67P / Churyumov-Gerasimenko? We have seen many pictures of comparison Comet 67P / Churyumov-Gerasimenko with all kinds of cities and objects on Earth, but it's difficult to compare it to an object in space. 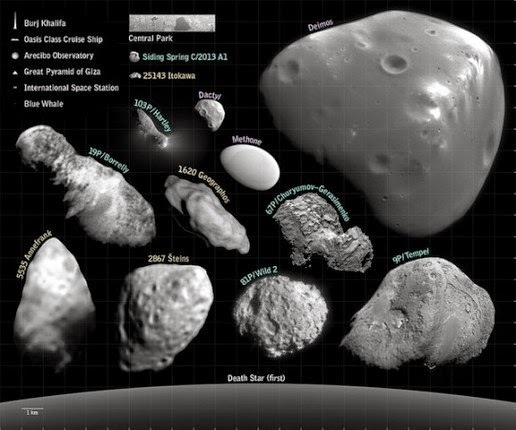 How big is this comet when compared with asteroids and other comets have been imaged? What about objects that are familiar, such as the Burj Khalifa and Central Park? How big is the comet 67P / Churyumov-Gerasimenko in comparison to the death star?!? Fortunately, Judy SchmidtSpaceGeck create a beautiful infographic that shows the 67 / P surrounded by a bunch of other objects in the solar system of the same size. There Siding Spring, moon Deimos Mars, comet 19p / Borrelly, 103P / Hartley, and others. And then this comet was also compared with the Burj Khalifa, the blue whale, the Great Pyramid of Giza, and much more. But most importantly, at the bottom of the image, you can see a little arch dead star.